The last part of September my work was featured in several more Treasuries on Etsy. That’s exciting! Etsy is a hand made online marketplace filled with wonderful finds. Treasuries are created by Etsy members to showcase cool handmade or supply items they’ve found on Etsy. A Treasury is a collection of 16 items that all coordinate in some way. Sometimes it’s by color, other times it’s by theme. All sixteen items selected by the Treasury creator are worth a look. I appreciate all of the features. Is autumn here yet? by Dark Margot is a collection of beautiful shapes and colors. This Treasury includes my Eyeglass Case in blue and brown. I hand knit it and then felted it to make it soft and durable. 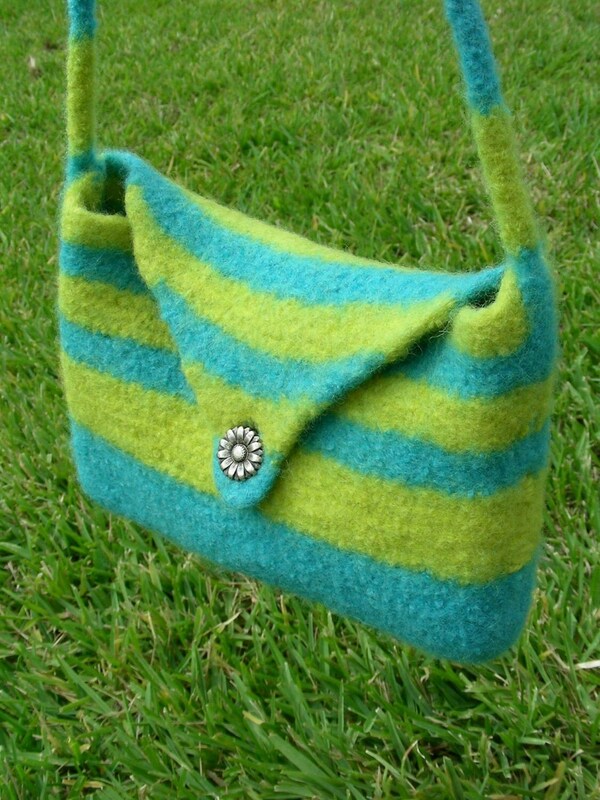 Felted hand knit case for your glasses, with loop closure by All Unwound. Fall in Love by Carol Bender is a soft dreamy collection with the colors of Fall. It features my hand knit felted Eyeglass Case in orange and brown. Felted protection for your sunglasses or reading glasses. Hand knit and then felted into a soft sturdy case for your eyeglasses by AllUnwound. September #98 by Sarmite Nastevica is a striking collection of textures and shapes. This Treasury includes my hand knit hand dyed Silk and Mohair Scarf in Pink and Purple. Luxurious Silk and Mohair scarf is hand dyed hand spun and hand knit. The little park by the beach by TartMoldsbyK is a fun and beachy with a contemporary vibe. It features my Felted Bowl in Royal Blue. Add a splash of color to your foyer table and safely keep your cell phone and keys handy. Soft and durable bowl hand knit and felted by All Unwound adds a splash of color to your life. Have fun checking out these Treasuries! This entry was posted in All Unwound ETSY store, Etsy Treasuries, Felting, Knitting, Yarn and tagged Bowl, Drop Stitch Scarf, ETSY, Etsy Treasuries, Eyeglass Case, Felted, Felted Bag, Felted Bags, Felted Bowl, Handmade, Knit, luxury yarn, Mohair, Scarf, Silk, Sunglass Case, Wool. Bookmark the permalink. Great treasuries! And I’ll bet as we move further into fall you’ll be featured a lot more with the cooler weather setting in! I’ve never tried felting . . . .but then I don’t knit either! You make it look fun! Congrats on all the wonderful treasuries! Thanks! I am enjoying both the knitting and felting.